Finding an agent who covers aggregate haulers can be a hassle. It might be tempting to go with the first agent you talk to. This is a mistake. To get the best possible commercial dump truck insurance, you should speak to at least two, preferably three, insurance agents before signing any contracts. This way, you know you’re getting the best possible deal. Luckily it’s easier now than ever to compare several insurance policies at once. 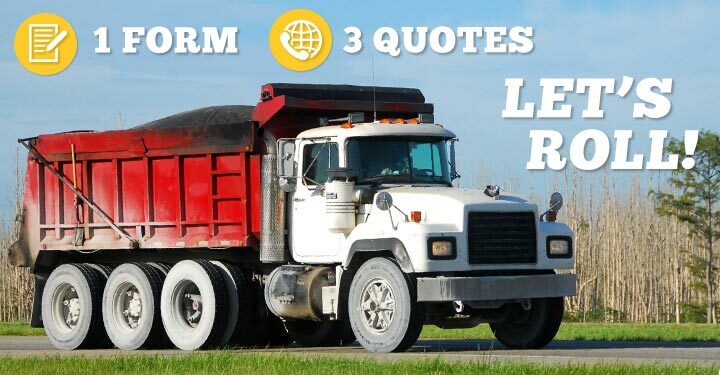 Go to this page and fill out the form, and you’ll be connected at once with three insurance agents who specialize in aggregate hauling. They will compete for your business and you can select the plan that meets your needs. Your agent will walk you through the different coverages his company offers. Some of these coverages are essential to a good, rounded policy. Some of these coverages, however, are frivolous or might not apply to you. Be sure to ask your agent to go into detail about the specifics of each coverage. Liability Insurance – Even the smallest insurance package should include liability insurance. This insurance is required by law in every state, normally with a limit of at least $1,000,000. It protects the property of others if you’re at fault in an accident. Physical Damage Insurance – This coverage isn’t required by law, but it’s a smart choice to get it anyway. If your dump truck sustains damage, regardless of who is at fault, the insurance company will pay for repairs or for a replacement vehicle. Non-trucking Insurance – This coverage is specifically intended for O/O who contract out their jobs. It’s a type of liability insurance that kicks in when you’re off the job. It’s essential if you drive your truck when you’re not working since regular commercial liability insurance doesn’t cover you when you’re off the clock. Cargo Insurance – Insurance specifically for aggregate/sand/gravel haulers. This coverage protects the material you haul in your dump truck. Environmental Liability Insurance – This coverage pays for clean up of spilled cargo, which can often cost several thousands of dollars otherwise. How well does the company seem to understand aggregate hauling? What is the company’s rating on Moody’s and A.M. Best? How quickly can the company process new certificates? Does the company have 24-hour claims service? What are the company’s billing and finance options? Does the company offer any discounts to experienced drivers? A good aggregate haulers insurance company should excel in all these areas. Many businesses choose to pay their insurance on a month-to-month basis because it’s easier. But you should consider paying yearly, instead. Insurance companies like receiving their payments upfront and they’ll reward you by offering you a discounted rate. You might find that it makes more financial sense to pay once at the beginning of the year than to space out payments between the months. Congratulations, you’ve picked an insurance company. But that’s not the end of it. It’s important to review your coverage every few years to see if it’s still working for you. Aggregate haulers often find that their premium creeps up in price the longer they have it. You can save money by switching providers every few years. 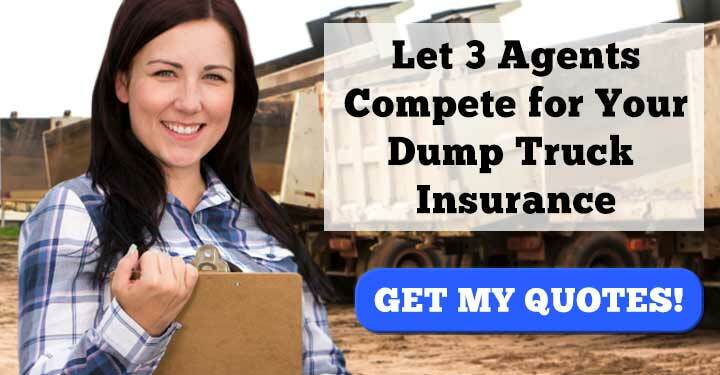 We can connect you with three aggregate hauler insurance agents who will compete for your business. Simply click the banner below to be directed to our simple request-a-quote form.